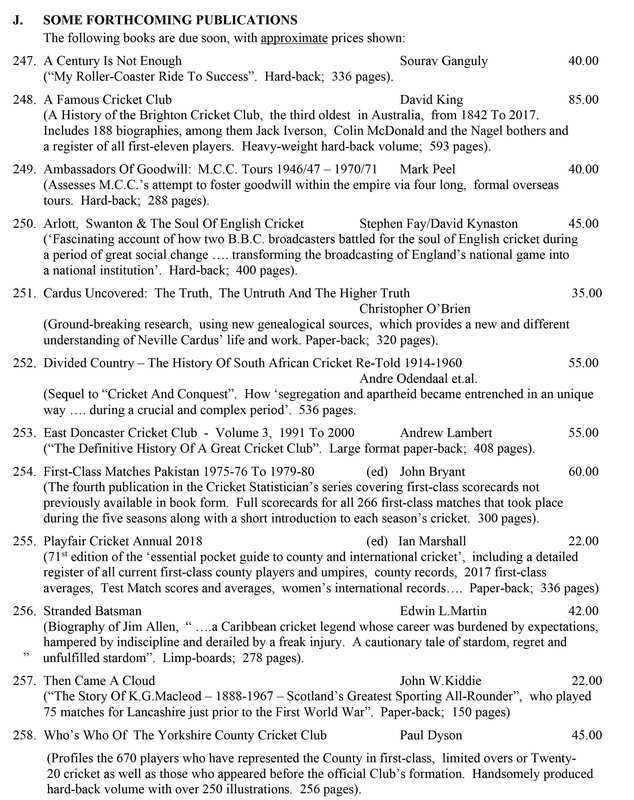 Welcome to Roger Pages Cricket Books New Releases April 2018. Roger Page Cricket Books has access to a range of quality new cricket books April 2018. Every two months a range of new and future cricket publications are selected. The publications have recently been released or are due for release soon. You should place your orders for them now so that your book can be delivered to you promptly. We order and receive books from publishers in excellent condition.If the book your are looking for is not here, send me an email or fill out the inquiry form at Contact / Order Roger Page Cricket Books. To learn more about Roger himself visit the about page. Check out the Roger Page Cricket Books Facebook page. We look forward to hearing from you. Please note that approximate prices are shown under.